We’re gearing up for the summer months at Four Roses Bourbon and looking forward to the many upcoming opportunities to mingle with you. Sometimes nothing goes better with sunshine and warm weather than Bourbon and music, so we’re excited to kick off the season with a few festivals at the end of this month for those in the area. We will be grooving at the Four Roses Bourbon Kentucky Reggae Festival May 26-28 at Louisville Water Tower Park in Louisville, Kentucky. 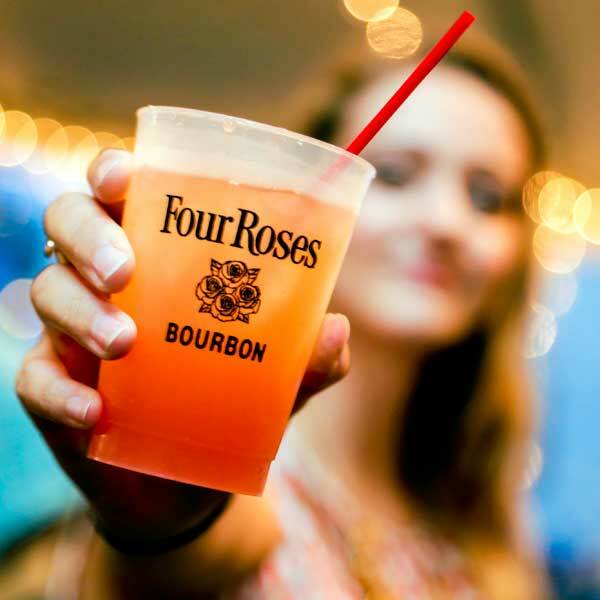 This Memorial Day event promises to bring the flavor of the islands, and Four Roses Bourbon, to festival-goers longing for summer. In addition to the sounds of live, authentic reggae music, the event will feature dishes from the Jamaican Association of Louisville and a Caribbean Market featuring arts, crafts, jewelry, beads and more. Purchase tickets here to join us for a mellow weekend. We’re also looking forward to mingling down the road (and across the river) at Abbey Road on the River in Jeffersonville, Indiana May 25-29. One of the most iconic Beatles music festivals in the USA, Abbey Road on the River draws fans from across the region, nation and world to enjoy a number of tribute bands playing the music of the Beatles, as well as the music of other similar artists. Tickets can be purchased here. Cheers to the Beatles and Bourbon!